What is the difference between TMD and TMJ, and what treatment is available near Rochester, MI? Dr. John L. Aurelia, Dr. Dina Khoury, and the staff at our practice near Rochester, MI work with patients every day who experience concerns with their oral health and wellness. When issues such as TMD arise, our team can provide effective treatment options for patients to consider. The doctors find that when patients have chronic issues with their TMJ, they should be diagnosed with TMD and discuss effective treatment options. While the acronyms are often used interchangeably, TMJ refers to the temporomandibular joint itself, and TMD refers to temporomandibular disorder. What are treatment options for TMD? One treatment option patients can consider that does not require any invasive actions is oral appliance therapy. 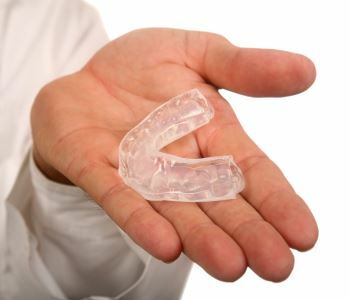 Oral appliance therapy is the use of a special mouth guard that is worn at night or during the day, or both, to keep the jaw aligned. It also reduces problems such as bruxism that is often concurrent with TMD. Bruxism is the clenching and grinding of the teeth, which can result in damage to natural tooth enamel and restorations. Our doctors encourage patients to consider oral appliance therapy instead of invasive solutions such as surgical intervention. While this may be helpful for patients with severe cases of TMD, it is not necessary for patients with mild to moderate issues. How does one determine the best treatment for their condition? It is best to have a dentist assess the smile during an initial evaluation. During this time, the doctor can speak with the patient regarding how severe the problem is. 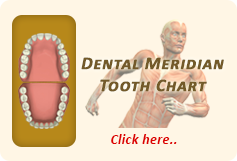 This allows him to assess the damage of the smile and decide if oral appliance therapy is best. For many of our patients, oral appliance therapy is not only effective but also an affordable solution. When might surgery be considered? 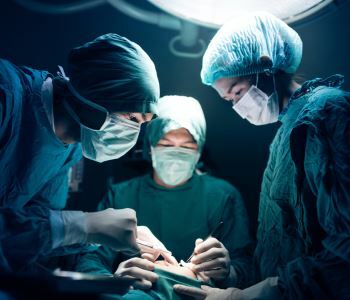 Surgical intervention, which includes surgery of the jaw may be recommended if patients are unable to find relief with oral appliance therapy or have a severe case of TMD. If you live near Rochester Hills, MI and are ready to discuss the advantages of treatment for conditions such as TMD or TMJ dysfunction, contact the practice of Dr. John L. Aurelia and Dr. Dina Khoury. Their facility can be reached at (248) 243-6044 to schedule an appointment. The office is conveniently located at 804 N. Main Street #201A.